Stretching over 16 m (50 ft), the Beneteau Oceanis 523 is a true beauty on the sea. The Oceanis 523 is one of the largest sailing yachts by the French brand, Beneteau. Yet despite its large size, the 523 handles very well and glides on the water with little effort. Given its size, you can also expect spacious living spaces below deck. This yacht is available to charter in Lefkada bareboat or crewed. 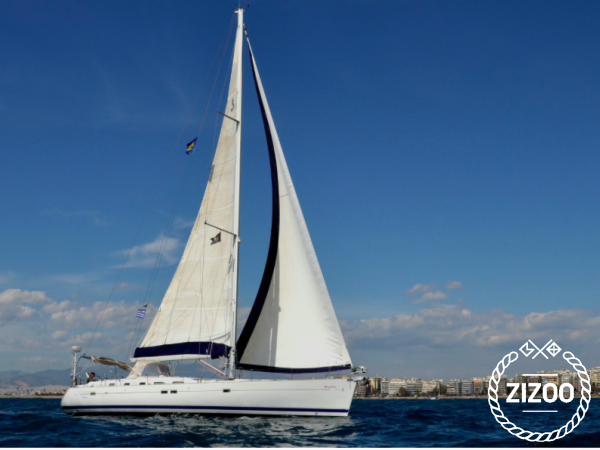 This gorgeous yacht is ideal for large parties up to 10 persons who will sleep comfortably in one of the yacht’s 5 double bed cabins, which feel more like staterooms. Experience the best of Greece with this luxury charter. Book now.